This 39mm. 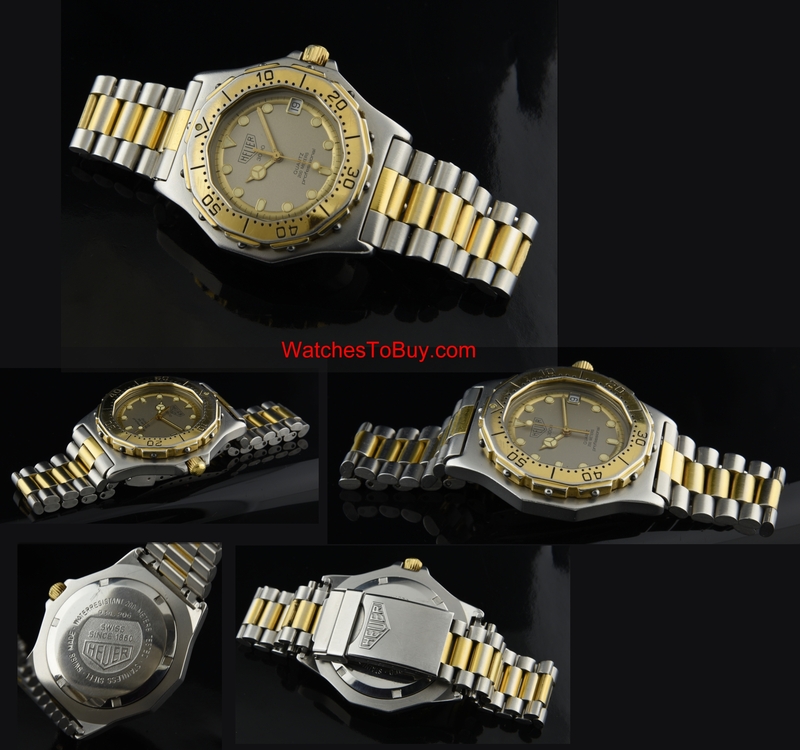 stainless steel men’s Tag Heuer Quartz is a cool 1980’s watch two-tone having an interesting 12 sided bezel, sapphire crystal, screw-down winding crown and uni-directional bezel. Small mark on the bezel is not detracting-otherwise the case looks amazing. 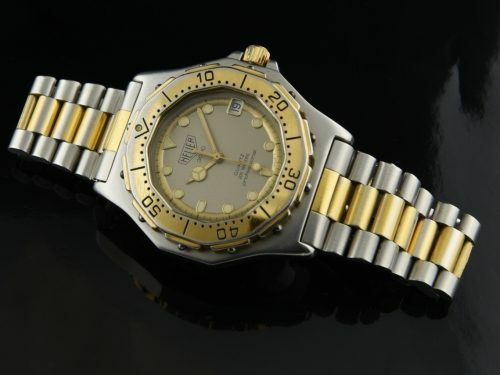 The original steel TAG HEUER bracelet should fit a 7.5 inch wrist. This watch is working perfectly-accurate. There is some slight gold plate wear on the case that is BARELY noticeable. This will be your travel watch.